Rebecca Jones takes pride in understanding the financial concerns of her team’s clients and helping them establish a foundation to meet their needs and achieve their goals. 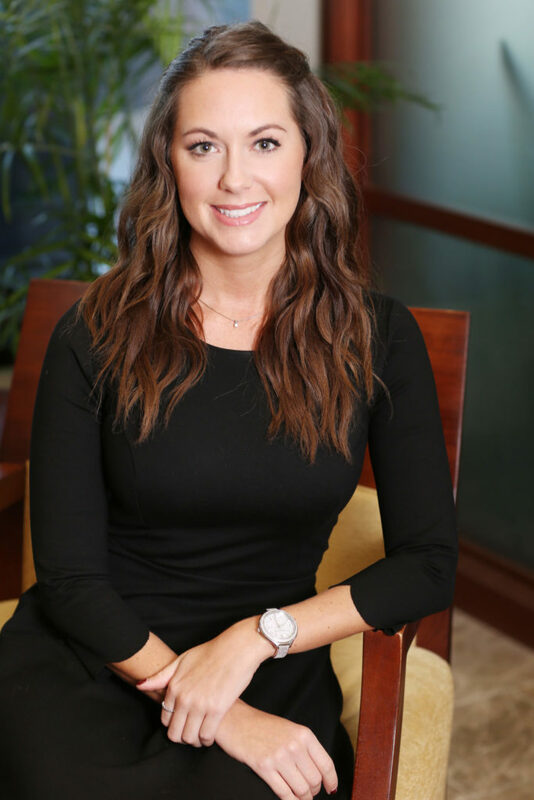 She joined Moneta in 2018 as a Client Service Manager for the O’Meara Ring Winegrad Team because of the firm’s Family CFO approach, St. Louis roots and value for developing internal talent with education and career growth opportunities. Rebecca loves all the learning she experiences at Moneta. She feels like she is “drinking from a fire hose” of industry knowledge because of her team’s collaborative culture. She also feels empowered to grow her own role by taking on new projects as she identifies unmet needs. Rebecca graduated from the University of Missouri-Columbia and desires to earn CFP® and Series 65 credentials. She joined Moneta after two and a half years serving as a Financial Advisor for Merrill Lynch and Kalibr. Rebecca enjoys traveling with her family and describes herself as an “adventurer at heart.” Special adventures with her dog, Ernie, include hiking new trails and exploring new lakes to swim in. Born and raised in the greater St. Louis area, she loves all the little local neighborhoods and their strong sense of community.